1. Clean the equipment. Use a putty knife and wire brush to knock off accumulated grass and mud, then reattach the blade if you removed one earlier. 2. Fill the oil tank. If you’re servicing a four-cycle engine, refill the oil tank with fresh oil. 3. Replace the air filter. This improves airflow to the engine, allowing it to run more smoothly. 4. Replace the spark plug. Although your old spark plug may still work properly, installing a new one is a cheap and easy way to ensure optimal performance. It may surprise you that there’s more to grass cutting than cranking up the lawnmower and pushing it across the lawn. Both mowing height and frequency are important to the health of your grass. Mow your lawn often enough so that you’re only removing the top one-third of the blades. This places less stress on the grass, and the smaller clippings are able to decompose more easily. Avoid bagging these clippings; this added organic matter is actually quite good for the soil. Fertilizer can help your lawn grow thick and lush, but if it’s not used properly, it can actually damage the grass. A slow-release nitrogen fertilizer is best, and no more than 1 pound (0.45 kilograms) of nitrogen should be spread per 1,000 square feet (93 square meters). It should be applied early in the season when the turf begins actively growing, so the timing varies among regions. Fertilizer should not be applied too early or late, however, as lingering cold or early heat can stress the grass. Check the packaging to see when and how much you should water after applying the fertilizer. Herbicides must also be used with care, as their effectiveness often depends on when they’re used. If you have a widespread weed infestation, it’s best to apply a pre-emergent herbicide to your lawn before the seeds germinate in the spring. Be aware, however, that you can’t use this treatment if you plan to plant new grass, as the herbicide will also prevent those seeds from germinating. For more isolated problems, spot treating with a non-selective herbicide should be enough to do the trick. Ultimately, the best way to discourage weeds is to have a thick, healthy lawn. Once you’ve cleaned and repaired your lawn, you may need to reseed parts of it that are particularly bare or brown. This can dramatically improve the appearance of your grass, but there are a few simple steps you should follow to ensure that it won’t look worse after you plant than it did before. First try to address the soil conditions that prevented grass from growing in the past. Call your local Cooperative Extension office to find out where you can get a soil test; this will tell you what nutrients your lawn is lacking. Once you’ve corrected your soil composition, aerate the ground to avoid any problems with soil compaction. Now you’re ready to buy seed and spread it on your lawn. Before choosing a seed, determine which varieties will work best in your region of the country and with the amount of sunlight in your yard. Then roughly estimate the size of the area where you plan to plant, as seed coverage is recommended in pounds per square foot. If you’re spreading the seed over a large area, it is best to use a broadcast spreader, but smaller areas can be seeded by hand. Don’t ignore the grass once you’ve planted it. Water regularly to maintain soil moisture and fertilize with a slow-release, low-nitrogen product. 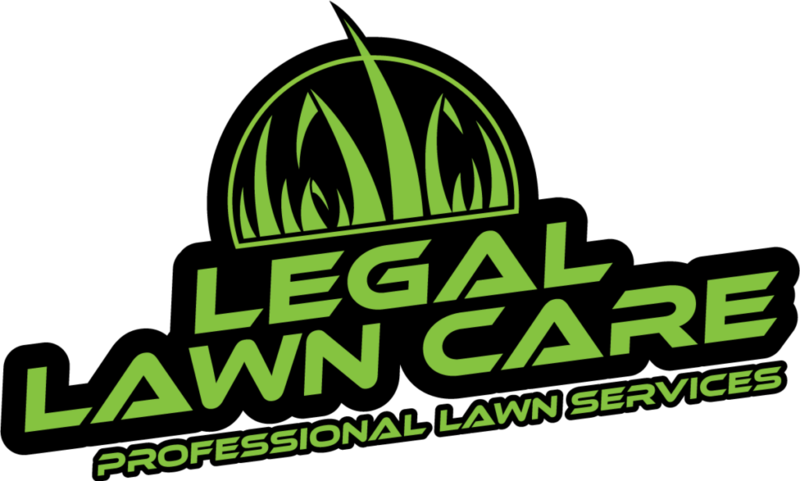 Mow when the grass reaches 3 or 4 inches (7.6 to 10 centimeters) in height, but try not to trim off more than a half-inch (1-centimeter) as doing so could stress the plant.